Nearly a quarter of the city of Amsterdam is covered by water, with more than a hundred kilometers of canal winding their way through the municipality. No wonder then, that when the city looks to the future of transportation, it's not interested in the self-driving cars currently being tested in American cities, but in self-driving boats instead. 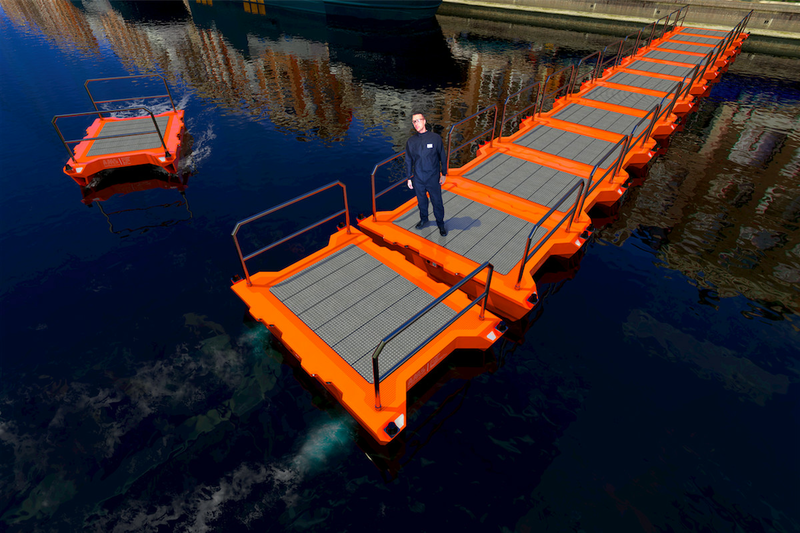 Today, the Amsterdam Institute for Metropolitan Solutions (AMS) announced a new, five-year research initiative to explore the possible functions of these floating robot vehicles. 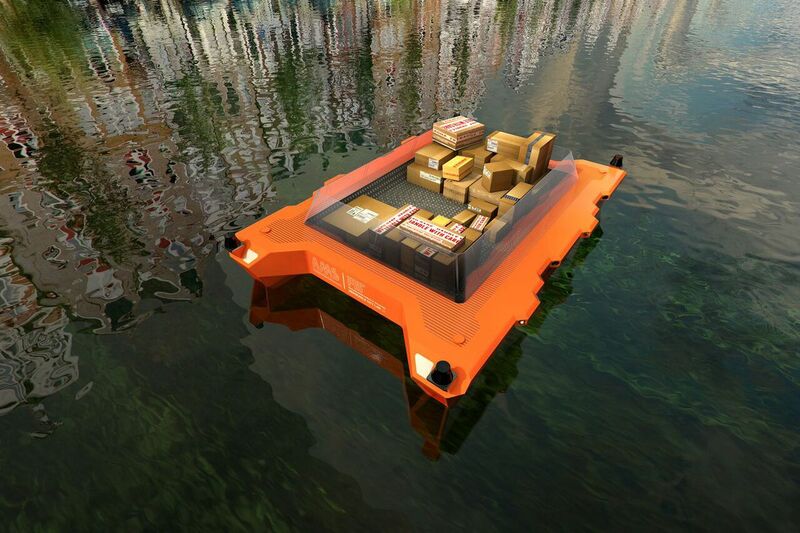 "Imagine a fleet of autonomous boats for the transportation of goods and people," said MIT's Carlo Ratti, a principal investigator in the research program, in a press statement. "But also think of dynamic and temporary floating infrastructure like on-demand bridges and stages, that can be assembled or disassembled in a matter of hours." The program has the delightfully straightforward name of Roboat, and is being carried out by researchers from MIT and two Dutch universities (the Delft University of Technology and Wageningen University and Research). 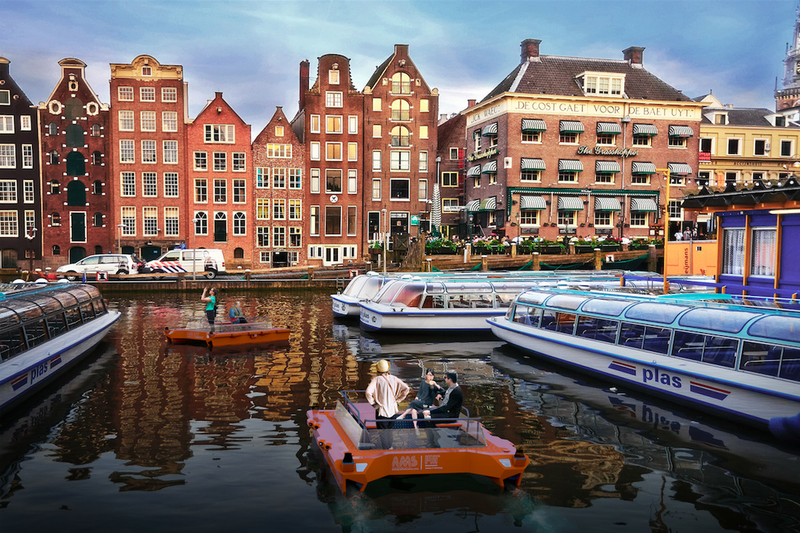 They have €25 million in funding for their work ($27 million) and aim to have the first prototype robo-vehicles floating on Amsterdam's canals by 2017. As well as creating autonomous boats that could be used as temporary bridges or public transportation, the Roboat project will also explore the creation of data-gathering robots to help with public health issues. This will build upon work done by MIT's Underworlds initiative, which wants to put sensors in sewer systems to watch the ebb and flow of disease. Speaking to The Verge, AMS's scientific director, Arjan van Timmeren, says the aim is to create a "predictive model for potential outbreaks." He says robots in the sewer systems can extract sample data from human waste and then map the spread of various conditions, from influenza to diabetes. Van Timmeren says that the project will also be exploring the commercial applications of these systems, looking at how sewage-monitoring technology (or semi-autonomous water taxis) could be sold to other cities. He points out that 80 percent of global economic output is found around coastal and delta areas, while that same portion of land is home to 60 percent of the world's population. Rising sea levels caused by global warming are also likely to increase the need for this sort of floating technology. For example, the Roboat program is also partnering with the city of Boston, says van Timmeren, which is one of the most vulnerable cities in the US when it comes to rising tides. In 2014, a consortium of Boston urban planners and architects suggested converting some of the city's streets to canals in order to accommodate rising sea levels. Instead of having flood waters overwhelm the city's defenses, they'd simply be channeled into the newly converted waterways. And perhaps the step after that would be to fill those canals with robot boats. Update September 19th, 8:13AM ET: Updated with comment from Arjan van Timmeren.